OBoard Executive Director Natalie A. Jaresko. The Financial Oversight and Management Board for Puerto Rico filed in the U.S. District Court for the District of Puerto Rico an “Adversary Complaint for Declaratory and Injunctive Relief” seeking to enforce the certified Commonwealth’s Fiscal Plan. In the complaint, the Board asks the court to declare that: the Commonwealth Fiscal Plan as certified by the Board pursuant to the Puerto Rico Oversight, Management and Economic Stability Act (“PROMESA”) includes amendments mandating (1) a furlough program if certain benchmarks are not met and (2) a pension reform. “The amendments are mandatory and binding parts of the Commonwealth Fiscal Plan and and the governor must enforce and comply with the entire Commonwealth Fiscal Plan, including its amendments,” the Board said in a statement. The Board also asked the court for an injunction prohibiting Gov. Ricardo Rosselló from refusing to enforce or comply with the Commonwealth Fiscal Plan — including the amendments — and otherwise treating them as not part of the Commonwealth Fiscal Plan. “Fiscal reform is a difficult but necessary process for Puerto Rico and the credibility of the plan lies in its enforcement,” said Natalie Jaresko, executive director of the Oversight Board. “While our preference was to avoid this step, we believe it is a necessary measure to keep Puerto Rico on track with its commitments to reduce spending and build stable foundations for its economic future,” she added. “On March 13, the Board certified the Commonwealth’s Fiscal Plan to achieve nearly $40 billion in long-term deficit reduction by increasing revenues and right-sizing the public sector, while beginning the hard work of restructuring the island’s unsustainable $74 billion debt owed to creditors. The plan included clear and specific milestones to be closely monitored by the Board,” Jaresko continued. “Puerto Rico’s financial situation did not deteriorate overnight, and fixing it is going to be difficult, but we have the tools to do it,” she added. 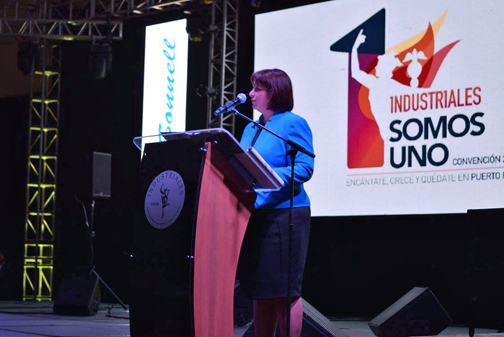 “We will continue to work with the Puerto Rican government to execute the certified Fiscal Plan that achieves financial sustainability and improves the economic fortunes of the Puerto Rican people,” Jaresko concluded. Rosselló reacted to the Board’s filing by saying that implementing a furlough for public employees is unnecessary. “The Government of Puerto Rico has met the necessary savings as certified by the Board, has begun the implementation of the necessary reforms, and is driven to comply with the requirements of the Fiscal Plan that was certified by the federal Board itself,” he said. “Moreover, the proposed furlough would have an adverse effect on the economy of the island, which would represent a contradiction to the common objective of the Board and the government: to facilitate Puerto Rico’s economic development,” Rosselló said. “We understand that the Board and the government of Puerto Rico have their differences on this matter, but I trust that the court will solve this controversy, pursuant to the right and to the benefit of the people of Puerto Rico,” Rosselló said. “Meanwhile, our administration will continue working with the implementation of measures that facilitate the island’s economic recovery, and achieve the necessary savings as well as more efficiency in government operations,” the governor concluded. Hey Buddy!, I found this information for you: "OBoard, gov’t face-off in court over employee furloughs". Here is the website link: https://newsismybusiness.com/oboard-employee-furloughs/. Thank you.